The Youth Department provides children with a nurturing and safe environment, a caring and professional staff, and lots of enriching activities. We offer a wide variety of programs to ensure we have the perfect activity for your child's interests, needs, and schedule. Bus transportation is available to the JCC from many local schools. We are proud to offer exceptional enrichment for all kinds of interest. Now it's easy to register online for the perfect enrichment for your child! Join us! J-Team is one of the most enjoyable, inspiring, and enlightening after-school enrichment programs offered. Available year round, J-Team provides a summer camp type atmosphere with our encouraging and knowledgeable staff that are there to give the utmost care for each child. Each week we will partake in exciting activities such as swimming, computer lab, science, sports, cooking, games, arts & crafts, and free time in the gym. In addition, new activities are being added all the time, such as J-Team Reading Club and gardening. As always, we promote quiet time for homework and independent study. Weekend and holiday programs are available throughout the year. Bus transportation is provided for many schools. Our program is staffed by highly-qualified, creative, and energetic counselors who are committed to providing your children with a fun, nurturing and safe environment. Kavod Supervision Fee: Kavod supervision fee: $100.00 per child per school year. Sign in and sign out with J-Team staff. Supervision for the first 15 minutes. If J-Team child will be with us more than 15 minutes, you must purchase J-Team hours. We transport children to the JCC from local schools, including - but not limited to - Doyle, Curie, Spreckels, and Standley. We walk children to the JCC from La Jolla Country Day School. If your school is not listed, please call us. The JCC must be notified in advance if your child will not be taking the bus for a specific day. Create amazing desserts in this 4 class series with Certified Pastry Chef Zohar Cohen. 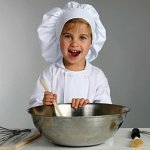 Develop basic culinary skills, bake delicious, exciting recipes, have a blast with friends and impress your family with the treats you will take home. We use the best ingredients and we will be hands on in the kitchen. Please join us to share this culinary adventure! It is too sweet to miss. An additional materials/ingredients fee of $25 is payable directly to the instructor upon beginning of first class. 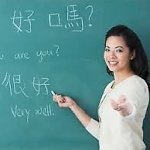 Learn the special language of Mandarin in a fun, interactive, engaging way! Our instructors, Bi-Lingual kids, make language learning exciting and highly participatory. This 4 class session will give kids a great intro to Mandarin and a great cultural experience.